Hi folks.. I'm pondering the lead-out guide on my little T33 speed model.. and was wondering if a single guide for both lines to pass through would be the way to go? Most of us are in the habit of holding our handles vertically. This transitions the lines with a 90 degree twist between the handle and the model. Not a big deal on a large/powerful model.. but on a small lightweight one with two spread-apart guides.. wouldn't it tend to "pitch" the model one way or the other, to naturally "unwind" the twist? I would think so. A single "eye" would neutralize the controls more.. wouldn't it? There is more than enough play in the lines to not affect the model. If it was an issue then all stunt planes would have problems when you get a whole bunch of twists in the lines. When I was first learning I could only do a loop, I went way past the recommended line twist with zero problems. Many speed planes run mono-line and do fine, but if using two lines theough one guide the leadout placement would be very critical. Unless you are going for a speed record just stick with a standard config. Good question, Roddie. It's fine to use one hole for both leadouts, but it doesn't really have any advantage. If you do, you might wan to stagger the position of the connectors so as not to snag them. And make it adjustable so you can find the optimum position as Ron mentioned. 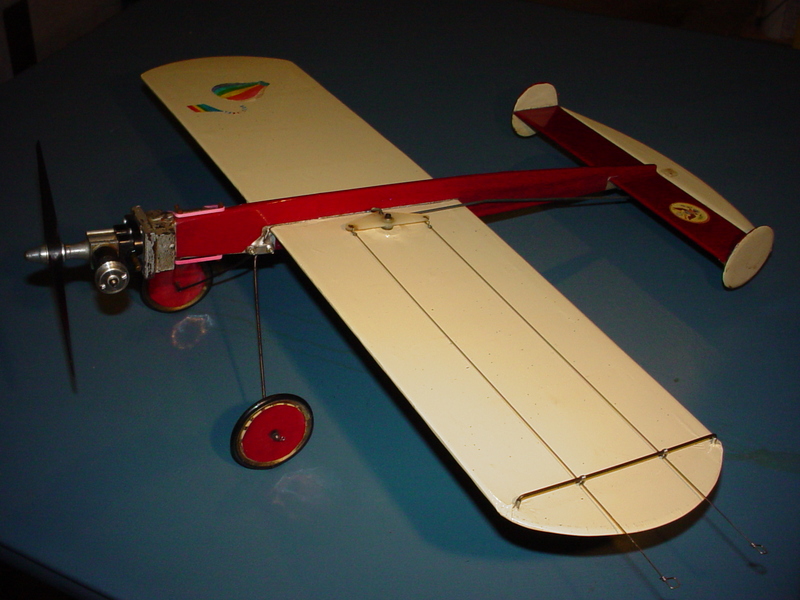 The late Jim Thomerson, one of my early internet based mentors, was an accomplished builder and stunter who built both 1/2A and 35 size planes with only one leadout exit, and he says he couldn't tell any difference. Fyi, after a full pattern, there are 3-1/2 twists in the lines, but I've wrapped lots more that that with no binding. Thanks both Ron and Rusty. I should have been more clear in my quandary.. I'm not concerned about the "twists" that occur while stunting. The T33 is being built for speed flying. There will be a 90 degree transition in the lines; from vertical to horizontal using spread-apart lead-outs, throughout the entire flight. The lines won't twist past that point in level flight. I'll try to explain it differently.. If you attached some short lines to a short piece of 2" PVC pipe; 180 degrees apart and whipped it with a 2" handle-spacing.. it would naturally follow the line position at the handle.. correct? If the lines had a few twists in them beforehand.. they'd "unravel" to vertical (handle-position) during whipping. I would think that there is some torque transmitted to the model, by the lines transitioning from vertical to horizontal.. having spread-apart lead-outs. 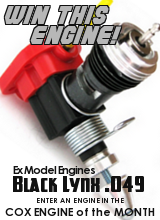 Some/most speed models require leading/whipping to launch. If your rear lead-out is connected to "up" on the handle.. it's actually transmitting torque that would induce a pitch-down condition. an opposite control set-up would induce climbing torque. 90 degrees positive.. or 90 degrees negative to "center".. what ever way you want to look at it. This thread is just to provoke some thought. I wanted to rename it more specifically.. but it doesn't really matter. I'm just trying to get an understanding of the forces that can affect U-control flying. Take the lead-out "rake" on some stunt-models having two guides for instance.. Is it set for the point where the lines twist over themselves? This would be at 50% line-length.. correct? Will "any" stunt-model go into a turn differently with untwisted lines.. as compared to twisted ones? I would think that you could feel the difference in the handle. Maybe.. mono-line for speed-models had more benefits than less wind resistance? Maybe it was easier to maintain level flight? Maybe on a two-line/two guide speed model; it's better to hold the handle horizontally.. on the same "plane" as the lead-outs at the wingtip? 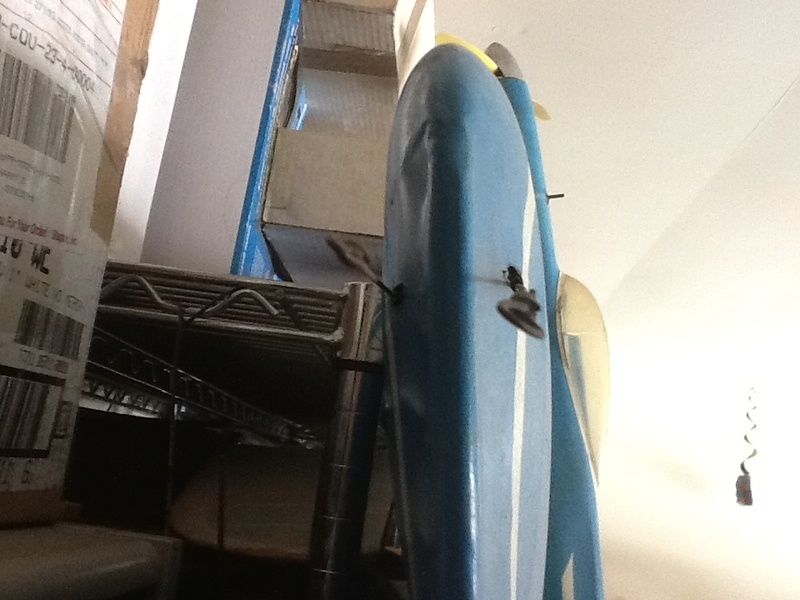 My T33 speed model is going to be hard to fly. That wing is WAY back in the fuse. It's moments like these that.. (never mind..) I want to try to minimize the risk to success ratio. I never encountered this mystery force. There's just not enough torsional resistance in the lines crossing over to counteract the weight of the model. The lines if run out to the model aren't even a full turn wrapped around one another. If your concerned about drag, I would clean up the model. A bit difficult with that model. Lead out guides hanging out on the wingtip is certainly going to cause drag. I'd definitely like to see some pics! I need some inspiration. I'm leaning toward a single-eye type of guide. My lead-outs are steel cable.. and have already been attached to a 2" nylon bell-crank. I've messed a little with buttons.. and have a set made for another W.I.P. model. I'll take Rusty's advice on staggering the line-connectors so that they don't snag when using a single guide. roddie wrote: ...I'll take Rusty's advice on staggering the line-connectors so that they don't snag when using a single guide. Roddie, I'd really rather have two leadout holes than a single with staggered ends, especially if you are using steel lines. I just don't want a spool of flying line with a pair of unequal length lines in order to mate with the leadouts. And there's arguably no benefit from a single leadout exit. If there was, everybody would be doing it. I am in the process of mass finishing some of the models I started some time ago. As I was fitting the lead out guides on one ( no complication - not adjustable with a couple of tubes as guides), I realized that I was lining up the tubes with the lead outs per the plan. These are then set at an angle for the free movement of the lead outs which, then almost, forms a triangle. That got me thinking about a single exit guide and raised one of those questions in my mind. With a bellcrank - no matter what size or length of the wing - there will be a triangle and the lead outs will cross each other forming an "X". This would need a shorter lead out guide with a bigger hole. Also, if I was pedantic, like a pal of mine, who build his planes to a certain pattern (All his models have the horn on the tailplane on the upper surface and so a pull on the front line is always up) due to some sort of obsessive compulsive disorder (don't worry - he reads this! ), that would throw me off completely! I wouldn't say there's no benefit from using a single holed leadout guide. On my combat wings, I use them exclusively. This is mainly due to the fact that when a double leadout guide is used, I see the plane has a tendency to yaw or hinge on the rear leadout guide as if the plane is flying on one line even though two are being used. I notice this as the plane enters into vertical maneuvers and it begins to wobble and crab as it gets around 45 deg. just before going over the top. I relocated the guide closer to the leading edge and grouped them together and all is happy now so it has become beneficial for my style of flying. Most reasons as to why the leadouts are kept apart is to prevent tangling especially with line clips. Seeing that I use button bellcranks, this is a non issue. But if one was even to do this with wire leadouts from the bellcrank, the terminations could certainly hang up. Interesting comments. I never really considered how flying-style could affect/influence lead-out arrangement.. but I suppose that combat-flying is going to need a system that won't get tangled in wild maneuvers. I watched a fast-combat match once at the NATS.. It was amazing! Okay, I stand corrected on my last comment. I was aware the plane sometimes flies on one line, and my leadouts, at least lately have been only 1/2" apart, so I suppose even closer is better. Many small C/L models have slab-wings.. and I thought I'd mention how I did my lead-out "guides" for my CEF Speed model a few years back. 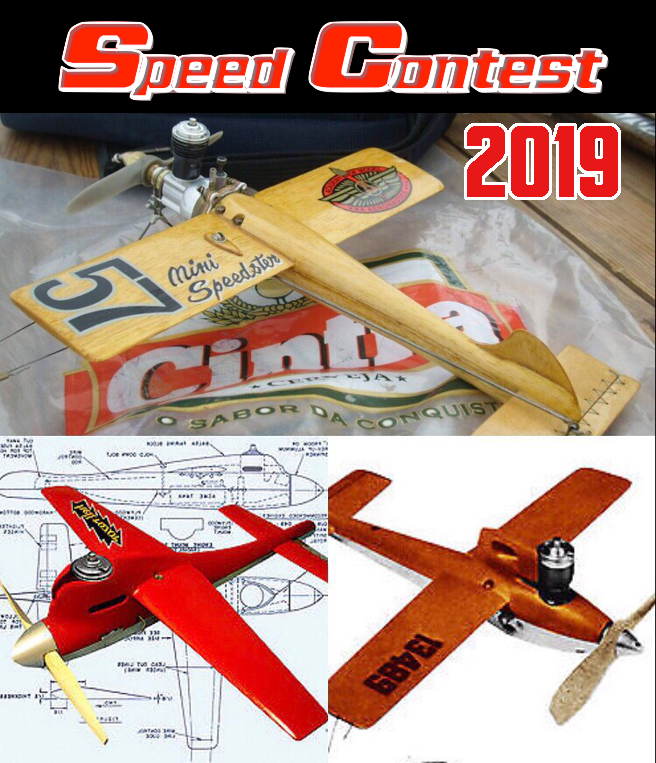 When I built my speed-model.. 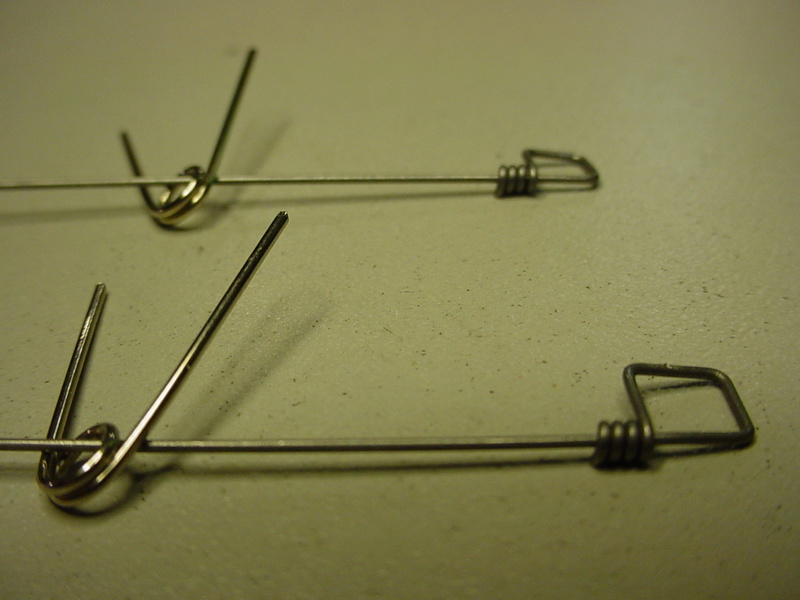 I made guides from a pair of small safety-pins. 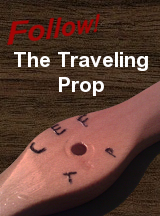 I cut-off the "clasp" to form two "legs". The retaining-discs I ended-up swapping-out for thin clear-plastic ones. You can see how they install. 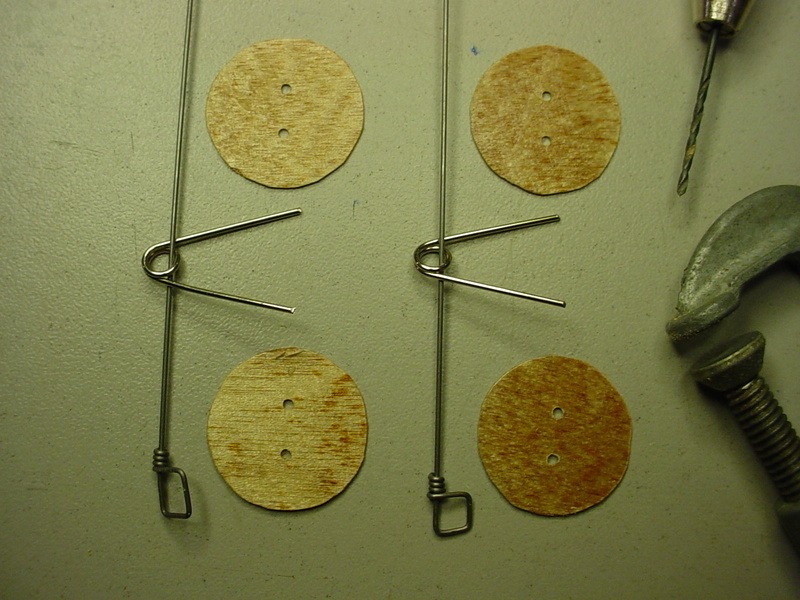 The discs capture the "squeezing-together" of the pin-legs and gage the width for holes drilled-through the wing-tip. 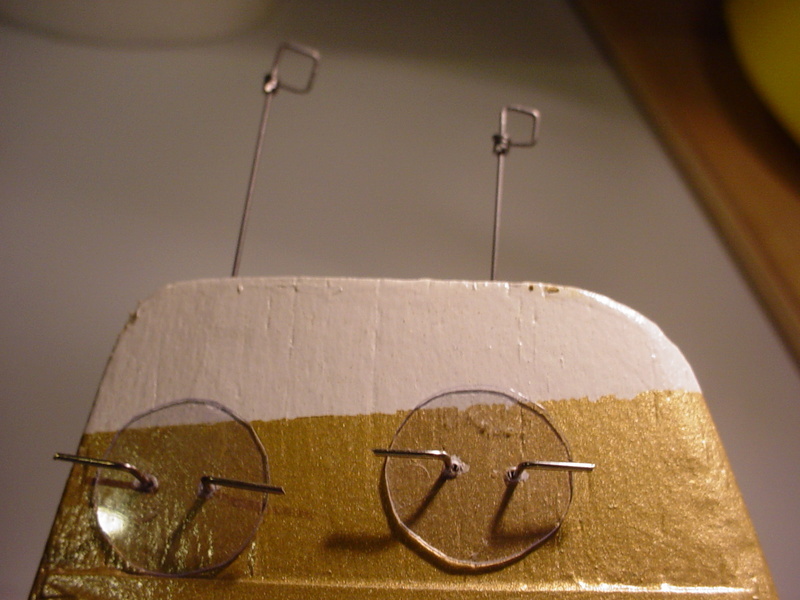 The legs pass-through the tip, and are bent 90 degrees on the under-side using small needle-nose pliers. If your lead-out terminations will fit-through the eyes of the safety-pins.. you could "re-locate" the pins (if needed..) by snipping-off the legs at the bend, and installing "replacement-pins". 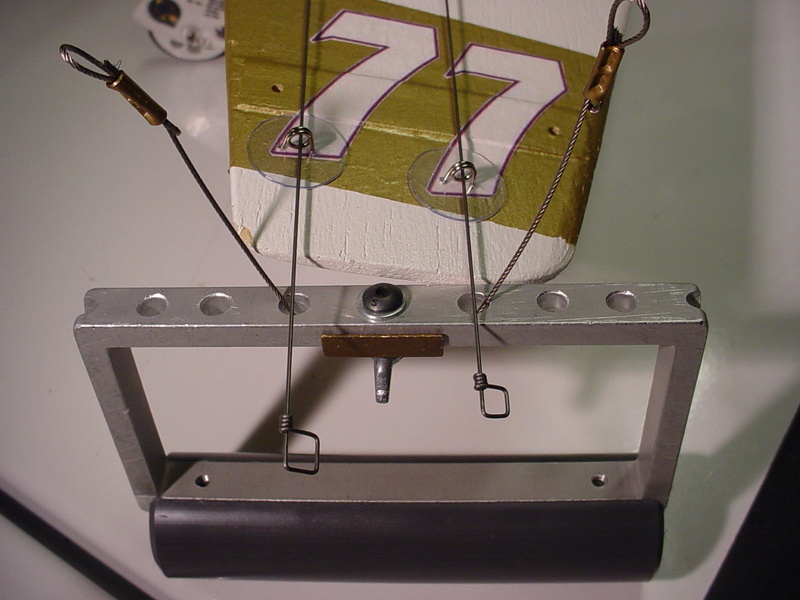 Where I used solid lead-outs on my model; this is not possible, unless I make-up new solids.. but if using the "flying-lines" tied directly to the bell-crank; it's a simple matter of just re-threading through the pin-eyes. I know we talked about this before and , for beginner stunt it was said spacing at the airplane lead outs were the same as Handle 2" ?/ But i am sure there is different configurations for the style of flying > Speed ,Combat , Stunt beginner,inter,and advanced. getback wrote: I know we talked about this before and , for beginner stunt it was said spacing at the airplane lead outs were the same as Handle 2" ?/ But i am sure there is different configurations for the style of flying > Speed ,Combat , Stunt beginner,inter,and advanced. Might you be confusing matching spacing at the handle with spacing at the bellcrank to get a 1:1 movement? For stunt many space leadouts close together so you match yaw forces for both inside and outside maneuvers. Some have even placed them over and under at the same exit point. If you space them close together consider having one leadout longer so the clips will not get entangled...which can give you a bad feeling. I can remember flying,as a youngster, with the handle in my hand held in place by my pointer finger in the full "up" position, just to maintain level flight! Flying on just one string. It must have been one of the old Testors/WenMac Sprite airplanes, or my GB Lil Wizard with a enimic BB on it! Here's a picture of a Thunderbird with over/under lead outs. Rebuilt after a crash......now probably due to lead outs getting tangled, not lines as the original owner said. I don't know if I thought this up.. but here's an application for adjustable lead-outs that might work for you. I applied this to one of my self-designed 1/2A U-control models back in the early 1990's. 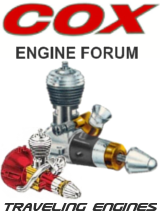 This particular application is probably better-suited for a larger model.. but it is adjustable for making engine and fuel-capacity changes. 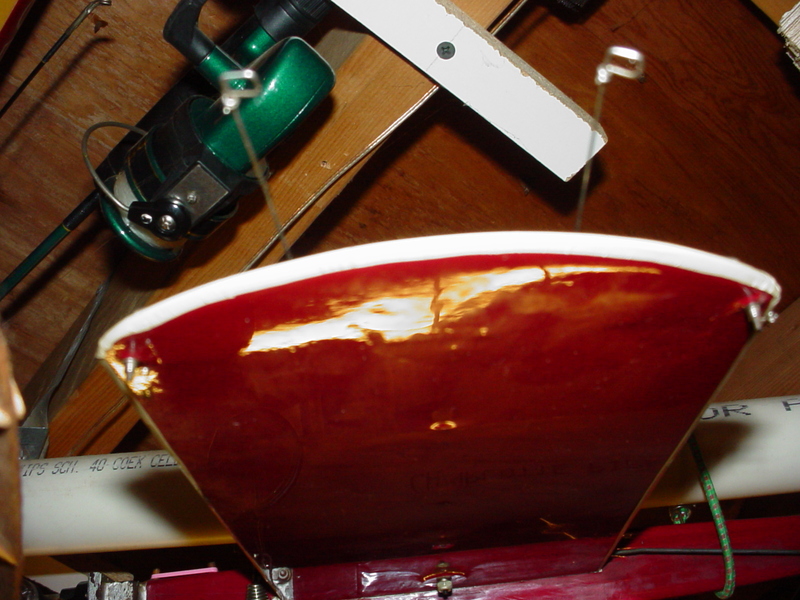 It consists of a 1/16" music-wire "rail" running chord-wise, along the inboard wingtip. A "pair" of spring-type retainers are installed on the rail. The retainers stay in-position on the rail under spring-tension but can be re-positioned fore/aft. The tiny "eyes" on the retainers serve as the guides for solid-wire or stranded-cable lead-outs. Here’s a couple photos of that application/airplane.. If you look closely.. 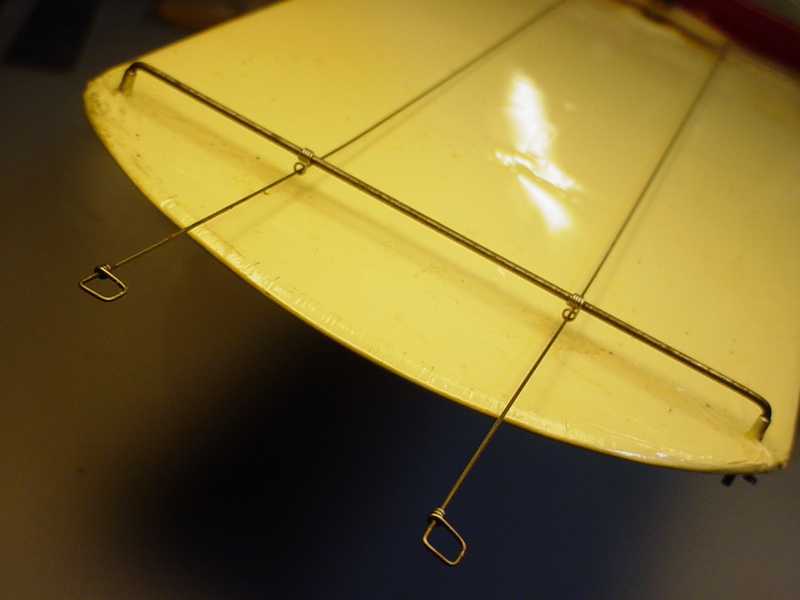 I'm also using a pair of short alloy (aluminum) tubing "stand-offs".. to set the rail-height above the wingtip.. I'm actually using "four" of the spring-retainers here; two as "guides".. and two more as "safety's" (on the underside of the wingtip).. to retain the rail.